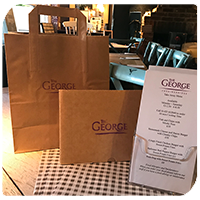 We now offer a take away service so you can enjoy The George's classic gastro pub food in the comfort of your own home! 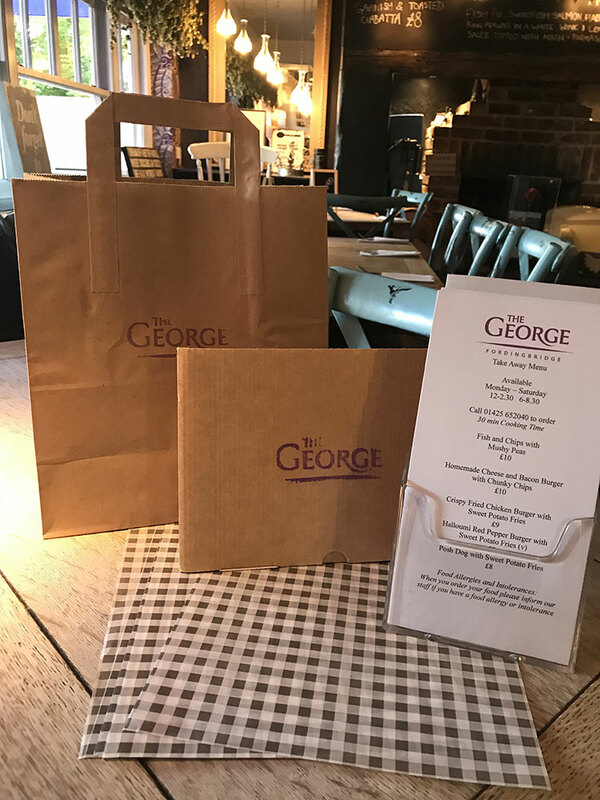 Our take away menu is available Monday to Saturday between 12 and 2.30pm, and between 6 and 8.30 pm. To order, give us a	call on 01425 652040 and please allow 30 minutes' cooking time when you come to pick up your food. Food Allergies and Intolerances: When you order your food please inform our staff if you have a food allergy or intolerance. © 2013-19 The George, Fordingbridge.